Portugal - 1 person likes this. Laurisilva of Madeira comprises of 15,000 hectares and is located in the larger 27,000 hectares Madeira Nature Reserve. The site is made up of primary laurel forest, a vegetation species that is only found in the Azores, Canary Islands and Madeira. 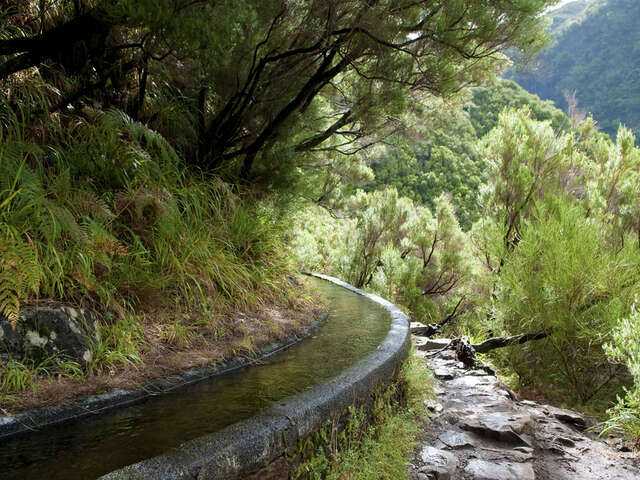 Laurisilva of Madeira comprises of 15,000 hectares and is located in the larger 27,000 hectares Madeira Nature Reserve. The site is made up of primary laurel forest, a vegetation species that is only found in the Azores, Canary Islands and Madeira. The Laurel forest found here is the largest surviving forest of its kind in the world. Around 90% of the forest is primary forest. A lot of fossil evidence has been discovered in the area. Research from fossils shows that ‘laurislava’ flora covered much of the southern Europe during the Tertiary Era (15 to 40 million years ago). The available vegetation in Madeira today is the largest surviving relict of a species that is virtually extinct. Climatic changes led to its extinction in the continental Europe. The relatively ocean moderated climate in the island group made of Azores, Canary Islands and Madeira has been able to maintain the previously wide spread forest. The importance of Laurel forest in the island of Madeira is something that cannot be gainsaid. The forest has helped maintain the eco-balance of the island. It has provided the ecological services to the island by protecting the water supplies, collecting and retaining water and protecting the micro-flora that is essential to the whole park. The forest cover is to be found on the V-shaped valleys that lead to plateau and east-west Ridge Island to the north coast. There are ancient trees at the park’s waterfalls, valley bottoms, and cliffs. This ensemble provides spectacular scenery. On higher altitudes, there are the arborescent plants that have small thistles that help it cling to the steep cliffs. The Laurel forest in Madeira is especially notable due to the presence of at least 66 species of vascular plants that are endemic to Madeira. The vascular plants are a very rare occurrence in the continental Europe. On the European scale, the 13 species of liverwort and 20 species of moss have been listed as endangered. Among the animals that are endemic to the site include Madeiran long-toed pigeon that survives on laurel fruit. Others include the lizard species, 2 species of bat, and subspecies of fire-crest and chaffinch. The site was inscribed into the UNESCO World Heritage Sites in 1999. It is one of the most famous tourist attractions in Portugal. It offers nature adventure that is unrivaled. Here's 1 comment for "Laurisilva of Madeira, The Mustn't Miss Destination In Portugal"
Oh, I would like to go there but maybe in next year!